The EUR/USD currency pair continues moving inside triangle pattern; yesterday the market tested the pattern’s border once again. Thus, we can see the third wave of this correction with the target at 1.3242. Later, in my opinion, the price may grow up towards the level of 1.3380 and then start a new descending structure to reach new minimums. The GBP/USD currency pair continues consolidating near its minimums; yesterday the market tried to reach a new one, but formed a strong ascending impulse instead. I think today the price may reach a new minimum and then start a new ascending impulse. 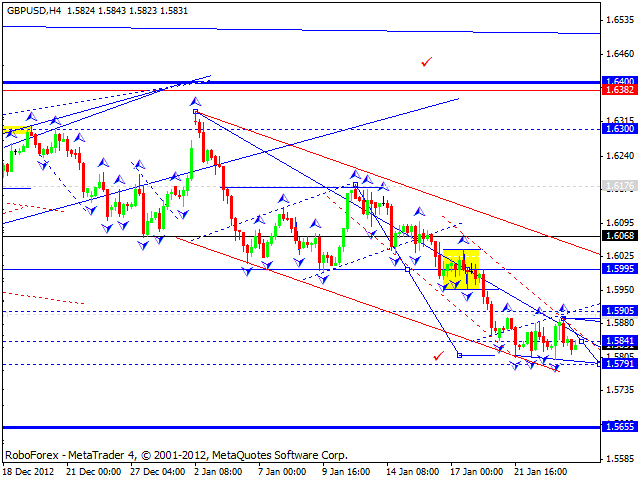 The target is at 1.5995. 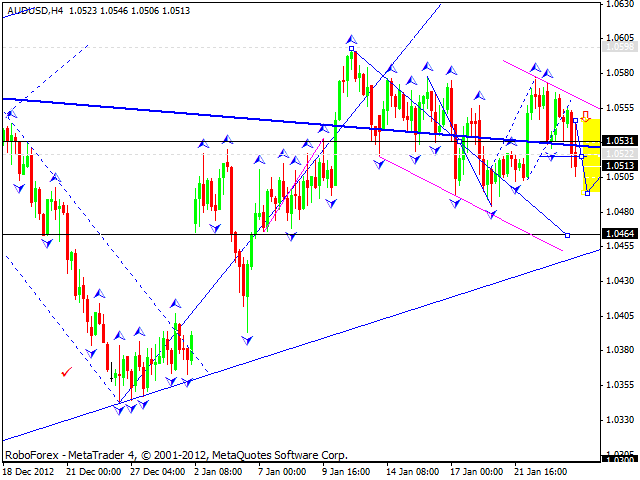 The USD/CHF currency pair continues consolidating below the level of 0.9300. 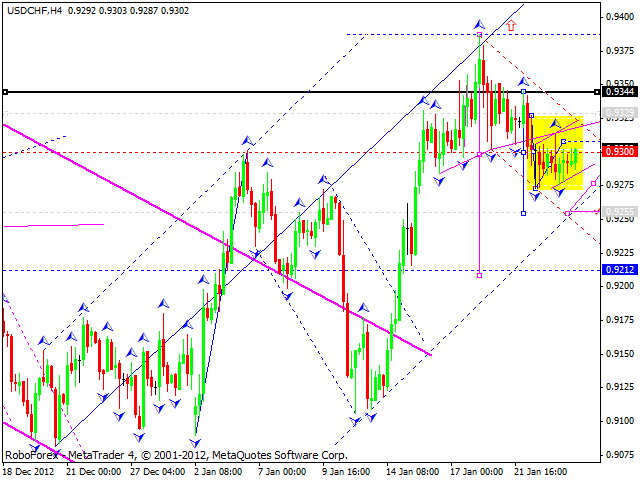 I think today the price may expand this trading range downwards and reach the target at 0.9260. Later, in my opinion, the pair may return to the level of 0.9300 and then start a new descending structure to reach the target at 0.9220. There, the correction may be considered finished. 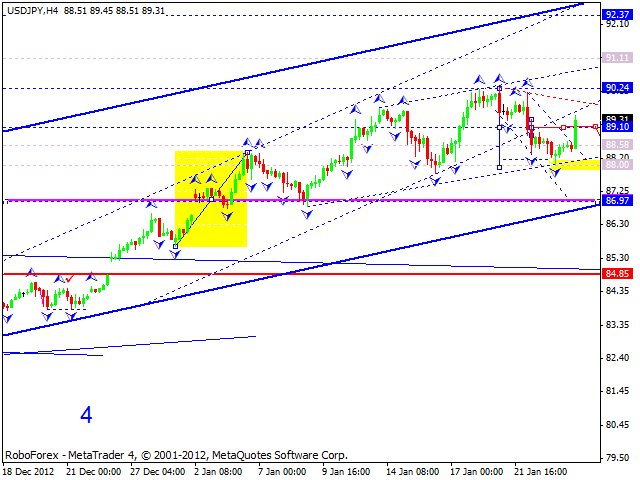 The USD/JPY reached a local target of this correction; at the moment the price is growing up towards the level 88.20. I think the market may form another descending structure in order to reach a new minimum. After that this correction may be considered completed. Later, in my opinion, the pair may start growing up towards the level of 92.30. Australian Dollar is still being corrected; the price has already reached the level of 1.0520. I think today the pair may consolidate for a while near this level and then continue falling down. 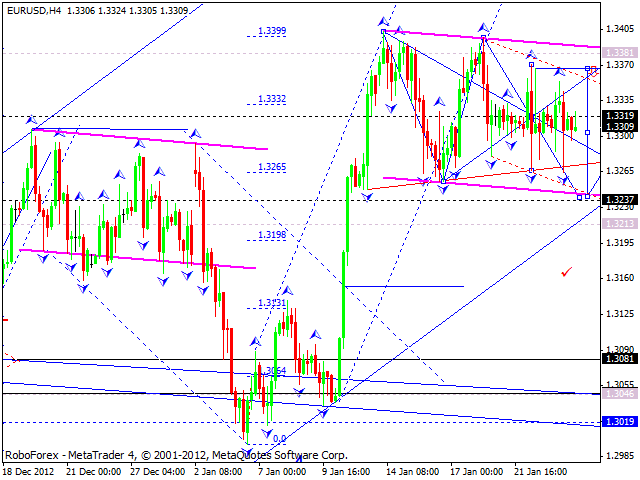 The target of the whole correction is at 1.0465. After reaching this target, the correction will be completed and the price may start forming a new ascending wave to reach the level of 1.0700. Yesterday Gold couldn’t reach a new top and started falling down rapidly. 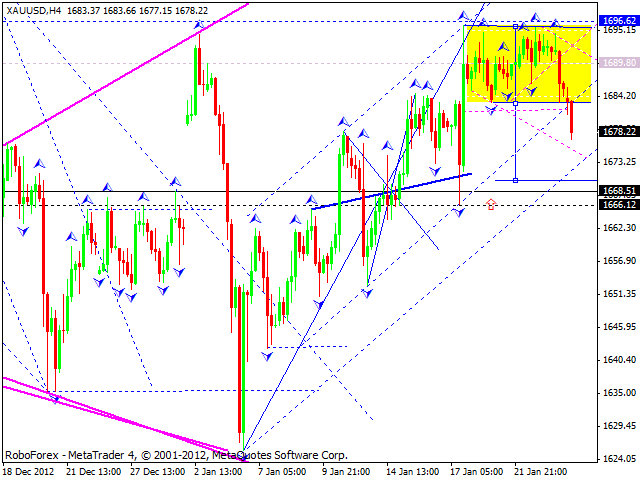 Thus, the market formed double top pattern. I think today the instrument may be corrected for a while, return to the level of 1670, and then start another ascending structure towards the target at 1707.